Vascular endothelial growth factor (VEGF) has been recognised by loss-of-function experiments as a pleiotropic factor with importance in embryonic pancreas development and postnatal beta cell function. Chronic, non-conditional overexpression of VEGF-A has a deleterious effect on beta cell development and function. We report, for the first time, a conditional gain-of-function study to evaluate the effect of transient VEGF-A overexpression by adult pancreatic beta cells on islet vasculature and beta cell proliferation and survival, under both normal physiological and injury conditions. In a transgenic mouse strain, overexpressing VEGF-A in a doxycycline-inducible and beta cell-specific manner, we evaluated the ability of VEGF-A to affect islet vessel density, beta cell proliferation and protection of the adult beta cell mass from toxin-induced injury. Short-term VEGF-A overexpression resulted in islet hypervascularisation, increased beta cell proliferation and protection from toxin-mediated beta cell death, and thereby prevented the development of hyperglycaemia. Extended overexpression of VEGF-A led to impaired glucose tolerance, elevated fasting glycaemia and a decreased beta cell mass. Overexpression of VEGF-A in beta cells time-dependently affects glycometabolic control and beta cell protection and proliferation. These data nourish further studies to examine the role of controlled VEGF delivery in (pre)clinical applications aimed at protecting and/or restoring the injured beta cell mass. N. De Leu and Y. Heremans contributed equally to this work. The online version of this article (doi: 10.1007/s00125-013-3076-9) contains peer-reviewed but unedited supplementary material, which is available to authorised users. Diabetes is a devastating disease, reaching pandemic status. Current therapies cannot faithfully mimic the endogenous responses to fluctuating glycaemia, resulting in chronic complications. Since islet transplantation is limited by donor scarcity, cues to mediate beta cell protection and/or regeneration are needed. The mechanisms of beta cell protection and regeneration are ill understood. Nevertheless, evidence accumulates for the importance of vascular-derived signals in development and function of the endocrine pancreas [1, 2, 3, 4, 5, 6, 7, 8], reviewed in . Although the exact nature of the inductive signals is at present unknown, cell–cell contact with the endothelium is responsible for proper pancreatic development . Differentiating endocrine cells signal back to the endothelium by secreting vascular endothelial growth factor A (VEGF-A), attracting endothelial cells to maintain an intra-islet vascular bed [2, 7]. Besides enabling intra-islet blood flow, endothelial cells deposit extracellular matrix proteins (laminin, collagen IV [COLL-IV]) that support beta cell differentiation, proliferation and function through interaction with the β-1 integrin receptor on beta cells [4, 10]. Furthermore, islet endothelial cells play a role during adult beta cell expansion under conditions of increased physiological insulin demand (pregnancy) by releasing the beta cell mitogen hepatocyte growth factor (HGF) in response to a prolactin-induced increase in the intra-islet levels of insulin and VEGF-A . On the other hand, tight control of VEGF-A expression and fine-tuned delivery of VEGF-A is crucial for proper beta cell development and function [2, 7] since excessive VEGF-A levels, induced prenatally or neonatally, result in endothelial cell accumulation, vascular leakage and inflammatory cell infiltration and ultimately have a deleterious effect on islet development and function [8, 12, 13]. By spatio-temporal gain-of-function, we studied the effect of postnatal, conditional overexpression of VEGF-A on protection and/or regeneration of the adult beta cell mass. Rat insulin promoter (RIP)-rtTA [14, 15], TET-VEGF165  and CD1 mice (Janvier, Le Genest Saint Isle, France) were used when 8–12 weeks old. The ‘Principles of laboratory animal care’ (NIH publication no. 85-23, revised 1985) as well as specific national laws were followed. In addition, the experimental plan was approved by the institutional ‘Ethical Committee for Animal Use’ of the Vrije Universiteit Brussel (VUB). Genotyping was done by PCR with gene-specific primers (see electronic supplementary material [ESM] Table 1). Doxycycline (DOX; 0.4 mg/ml; Sigma-Aldrich, Bornem, Belgium) was added to acidified (pH 3.0) drinking water, supplemented with 2% (w/v) sucrose. To label proliferating cells, 5-bromo-2-deoxyuridine (BrdU; 0.8 mg/ml; Sigma-Aldrich) was added to the drinking water. Control mice received drinking water, supplemented with 2% (w/v) sucrose only. Alloxan (ALX; 70 or 90 mg/kg body weight; Sigma-Aldrich) was injected into the dorsal tail vein after mice had been fasted for 2 h. Tail-vein glycaemia was measured following a 2 h fast. Intraperitoneal glucose tolerance tests were performed by injecting glucose (2 g/kg body weight) after mice had been fasted overnight. Islets were isolated by intraductal injection of collagenase type XI (0.3 mg/ml; Sigma-Aldrich). To evaluate the effect of DOX administration on in vitro VEGF-A secretion, equal numbers of randomly hand-picked islets were cultured for 3 days in Ham F10 (Life Technologies, Gent, Belgium), containing 0.5% BSA (Sigma-Aldrich), with or without 12 μg/ml DOX. Total RNA was isolated from islets (Rneasy; Qiagen, Venlo, the Netherlands). cDNA synthesis and real-time quantitative PCR (RT-qPCR) were carried out as described . qPCR was performed using mouse-specific Assays on Demand (Applied Biosystems, Life Technologies; see ESM Table 1) with TaqMan Universal PCR master mix on an ABI Prism 7700 Sequence Detector and data were analysed using the Sequence Detection Systems Software, Version 1.9.1 (all Applied Biosystems). To avoid interference from contaminating genomic DNA, primer sets were designed to span at least one intron. Expression levels were normalised to the expression level of the housekeeping gene Ppia. Conventional PCR was performed as described  (for primers, see ESM Table 1). Functional vessels were labelled by intravenous injection of biotinylated tomato lectin (Lycopersicon esculentum; Vector Laboratories, Peterborough, UK) . Pancreas samples were fixed in 10% neutral-buffered formalin before being embedded in paraffin. For primary antibodies, see ESM Table 2. Secondary antibodies were cyanine- or biotin-labelled (Jackson ImmunoResearch, Newmarket, UK). Biotinylated tomato lectin was visualised with AlexaFluor555-labelled streptavidin (Life Technologies). For detection of apoptotic cells, the In Situ Cell Death Detection kit (Roche Applied Science, Vilvoorde, Belgium) was used according to manufacturer’s instructions. Hoechst 33342 (Sigma-Aldrich) was used for nuclear counterstaining. Sections were imaged using a Zeiss Axioplan 2 microscope (Carl Zeiss, Zaventem, Belgium). Scale bars are 100 μm. The insulin-positive (insulin+) area, representing the proportion of the insulin+ area to the total pancreas area, was determined by photographing the entire tissue section (BD Pathway 855; Becton Dickinson, Erembodegem, Belgium) and subsequent morphometric analysis using IPLab Pathway 4.0 (Becton Dickinson). Quantification of the number of intra-islet vessels was performed by counting the number of tomato lectin+ or CD31+ capillary cross-sections per islet. Vessel/islet ratio was defined as the ratio between intra-islet lectin+ area over insulin+ area × 100%. The VEGF content of the islets and the islet culture medium was determined using a Quantikine mouse VEGF120/164 ELISA kit (R&D Systems, Abingdon, UK), according to manufacturer’s instructions. The insulin content of the pancreas was measured by radioimmunoassay using a mouse insulin RIA kit (Linco; Merck Millipore, Overijse, Belgium) after homogenising the tissue in 2 mol/l acetic acid. Beta cells were isolated as described  and seeded in a laminin/poly-lysine-coated 96-well plate in Ham F10 (Life Technologies) + 0.5% BSA (Sigma-Aldrich), with or without 100 ng/ml recombinant mouse VEGF164 and/or 25 ng/ml recombinant mouse HGF (R&D Systems). The number of viable cells was evaluated after 3 days of culture with a CellTiter-Glo Luminiscent Cell Viability Assay kit (Promega, Leiden, the Netherlands). To determine whether VEGF-A and/or HGF could protect beta cells from ALX-induced injury, 0.2 and 1 mmol/l of ALX (Sigma-Aldrich) was added to the culture medium on day 2 of culture and the number of viable cells was evaluated 24 h later. Values are depicted as mean ± SEM. Two-tailed (un)paired t test was performed using GraphPad Prism version 5.0b for Mac (GraphPad Software, San Diego, CA, USA). Results were considered significant when p was less than 0.05. To evaluate the effect of beta cell-specific, conditional overexpression of VEGF-A, RIPrtTATetOVEGF-A transgenic mice were generated by crossing a RIPrtTA strain, in which the RIP drives the expression of reverse tetracycline-dependent transactivator (rtTA), with a TetOVEGF-A responder strain  (Fig. 1a). Islets isolated from RIPrtTATetOVEGF-A mice, which had received DOX in their drinking water for 3 days (DOX3D), showed a 3.5-fold increased VEGF-A content (data not shown) while a 3.1-fold increased amount of VEGF-A was detected in the culture medium (n = 4, p < 0.005) when RIPrtTATetOVEGF-A islets were cultured for 3 days in the presence of DOX, indicating mild, though significantly increased secretion of transgenic VEGF-A (Fig. 1b). Furthermore, an increase in beta cell VEGF-A immunoreactivity was clearly observed in pancreatic tissue of DOX-treated RIPrtTATetOVEGF-A mice (Fig. 1c). The effect of beta cell-specific overexpression of VEGF-A on intra-islet vascularisation was examined in normoglycaemic RIPrtTATetOVEGF-A mice that received DOX in their drinking water during 14 days (DOX14D). Before they were killed, the mice were intravenously injected with tomato lectin, which binds specifically to functional endothelium. The vessel-to-islet ratio was significantly increased in DOX-treated mice (% lectin+/ insulin+ area: 16.2 ± 0.8 in −DOX14D vs 21.9 ± 1.5 in +DOX14D mice [n = 3, p < 0.05] and 13.6 ± 2.2 in −DOX30D vs 30.8 ± 3.7 in +DOX30D mice [n = 3, p < 0.05]) (Fig. 2a, b, d), an additional validation of our experimental mouse model. Withdrawal of DOX from +DOX14D mice (+DOX14D−DOX14D) caused a decrease in the intensity of VEGF immunoreactivity (Fig. 1d) and a reduction in vessel-to-islet ratio, illustrating the reversibility of conditional VEGF-A-mediated hypervascularisation (% lectin+ / insulin+ area: 21.9 ± 1.5 in +DOX14D vs 17.0 ± 0.6 in +DOX14D−DOX14D mice [n = 3 or 4, p < 0.05]) (Fig. 2c, d). Loss of VEGF has been demonstrated to negatively influence vascular maintenance and endothelial signalling and, consequently, proper development and function of the endocrine pancreas, in addition to basal beta cell proliferation [2, 4, 7]. On the other hand, pre- or neonatal VEGF overexpression also negatively affects beta cell proliferation, resulting in reduced beta cell mass [12, 13]. In our study, 2 weeks of continuous administration of BrdU to +DOX14D mice increased the number of cycling beta cells by almost 50% (10.4 ± 0.9% BrdU+insulin+ cells in −DOX14D vs 15.5 ± 1.4 in +DOX14D mice [n = 8–15, p < 0.05]), while the number of cycling endothelial cells increased by more than fourfold (10.5 ± 1.5% BrdU+COLL-IV+ cells in −DOX14D vs 46.9 ± 4.6 in +DOX14D mice [n = 4, p < 0.05]) (Fig. 3a, b; for high magnification pictures, see ESM Fig. 1). No changes in duct, acinar or alpha cell proliferation were observed in +DOX14D mice (17.8 ± 1.5% BrdU+ cytokeratin, wide spectrum (PAK)+ cells in −DOX14D vs 16.3 ± 2.0 in +DOX14D mice [n = 6, p > 0.05); 8.8 ± 1.1% BrdU+ pancreas transcription factor 1α (PTF1A)+ cells in −DOX14D vs 10.4 ± 0.7 in +DOX14D mice [n = 3–5, p > 0.05]; 0.7 ± 0.1% BrdU+glucagon+ cells in −DOX14D vs 0.7 ± 0.2 in +DOX14D mice [n = 4 or 5, p > 0.05], respectively) (Fig. 3b). The kinetics of beta cell proliferation were elaborated by Ki67 staining and revealed a transient, albeit more than twofold increase in DOX7D mice (Fig. 3c, d). The observed increase in beta cell proliferation did, however, not result in an increased beta cell area. On the contrary, a trend towards a decrease in beta cell area could be detected in +DOX30D mice (% insulin+ area: 0.8 ± 0.1 in −DOX30D vs 0.6 ± 0.1 in +DOX30D mice [n = 4, p > 0.05]) (ESM Fig. 2a). This decrease in insulin+ area correlated with impaired glucose tolerance (statistically significant only in +DOX30D mice (ESM Fig. 2b), with a modest, statistically not significant, increase in 2 h fasting glycaemia (8.3 ± 0.6 mmol/l in −DOX14D vs 10.0 ± 0.8 in +DOX14D mice [n = 25–34, p > 0.05] and 8.9 ± 0.5 mmol/l in −DOX30D vs 10.9 ± 1.0 in +DOX30D mice [n = 22–27, p > 0.05]) (ESM Fig. 2c) and with a transient increase in beta cell death in +DOX14D mice (0.14 ± 0.02% cells positive for terminal deoxynucleotidyl transferase dUTP nick end labelling and insulin [TUNEL+insulin+] in −DOX14D vs 0.35 ± 0.04% in +DOX14D mice [n = 4, p < 0.05]) (ESM Fig. 2d). In summary, short-term VEGF-A overexpression resulted in islet hypervascularisation and increased beta cell proliferation, while extended overexpression led to increased beta cell death, reduced beta cell area and impaired glucose tolerance. Since VEGF reduced liver damage in mice exposed to a hepatotoxin , its capacity to protect beta cells from toxin-induced injury was evaluated. RIPrtTATetOVEGF-A mice received DOX in their drinking water for 1 week before and following injection of the beta cell-specific toxin (DOX+ALX). The blood glucose level of mice not receiving DOX before ALX injection (ALX) increased quickly and remained elevated (Fig. 4a). In contrast, DOX+ALX mice were able to significantly dampen this increased glycaemia (glycaemia at day 30 post ALX administration: 24.1 ± 2.9 mmol/l in ALX vs 9.6 ± 0.6 in DOX+ALX mice [n = 17–22, p < 0.0001]). Differences in glycaemia were also reflected in the total pancreas insulin content, which remained high at day 30 post ALX administration in mice receiving DOX (10.8 ± 4.6 μg insulin/g pancreas in ALX vs 26.9 ± 5.1 in DOX+ALX mice [n = 13–18, p < 0.05]) (Fig. 4b). To evaluate whether protection could also be observed under even more stringent conditions, the dose of ALX was increased from 70 to 90 mg/kg. Even at the higher ALX dose (ALX90), glycaemia remained low as a result of the prior overexpression of VEGF-A (glycaemia at day 30 post ALX administration: 25.2 ± 3.8 mmol/l in ALX90 vs 11.3 ± 3.2 in DOX+ALX90 mice [n = 6–9, p < 0.05]) (Fig. 4a). 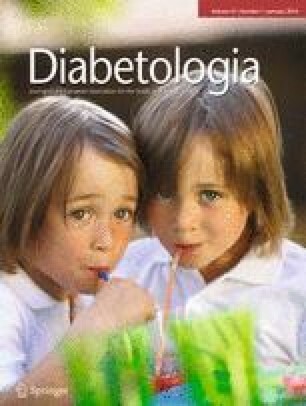 Finally, to address whether protection from hyperglycaemia and the observed increase in total pancreas insulin content was due to increased cellular insulin content or reflected a genuine difference in beta cell mass, the insulin+ area over total pancreas area was calculated at day 30 post ALX administration. The insulin+ area over total pancreas area was 0.22 ± 0.01% in ALX vs 0.54 ± 0.07% in DOX+ALX mice (n = 3, p < 0.05) (Fig. 4c, d). By consequence, these data illustrate the capacity of VEGF-A to prevent toxin-induced hyperglycaemia in mice by protection and/or regeneration of beta cells. To evaluate the effect of conditional expression of VEGF-A on the proliferation of surviving beta cells, BrdU was added to the drinking water of the mice, immediately after ALX administration and until analysis. At day 2 after ALX administration, more beta cells were cycling in DOX+ALX mice (0.7 ± 0.5% BrdU+insulin+ cells in ALX vs 3.1 ± 0.5% in DOX+ALX mice [n = 3, p < 0.05]) (Fig. 5a, b). Additionally or alternatively, VEGF-A-mediated protection from hyperglycaemia might be through protection against ALX-induced necrosis. DNA fragmentation, detected by TUNEL, is a hallmark of apoptosis although it can also be observed during early necrosis . The pancreas of ALX+DOX mice contained 8.1 ± 2.5% TUNEL+insulin+ cells at 24 h after ALX administration compared with 30.4 ± 3.9% in ALX mice (n = 4, p < 0.005) (Fig. 5c, d), demonstrating that beta cell-specific overexpression of VEGF-A mediates protection of the beta cells against ALX-induced cell death. Under these experimental conditions, islets of ALX+DOX mice continued to display increased vascularisation compared with those of control mice (8.3 ± 1.0 vessels/islet in ALX vs 15.0 ± 2.5 in ALX+DOX mice [n = 4, p < 0.05]) (Fig. 5e, f). To distinguish whether the effect of VEGF-A on beta cell proliferation and protection was autocrine or paracrine, VEGF receptor expression by beta cells was evaluated. The absence of the three isoforms of the VEGF receptor in FACS-purified beta cells that were isolated from MIP-RFP mice and in pancreas tissue sections (ESM Fig. 3a, b), is highly suggestive for an indirect (non-beta cell autonomous) VEGF-A effect. Moreover, mouse recombinant VEGF164, supplemented to a culture of FACS-purified beta cells, did not change the beta cell number after 3 days of culture, suggesting that VEGF-A per se does not promote either beta cell survival or proliferation in vitro (ESM Fig. 3c). Similarly, toxin-induced injury in vitro was not prevented by VEGF164 (ESM Fig. 3c). The expression of HGF, proposed as a beta cell survival factor  and as a downstream mediator of VEGF-A in pregnancy-associated compensatory beta cell growth , was similar in islets isolated from RIPrtTATetOVEGF-A mice treated with DOX and those not treated (ESM Fig. 3d). Moreover, HGF did not affect beta cell proliferation or protection in vitro, not even in combination with VEGF164 (ESM Fig. 3c). Together, these data preclude a major role for HGF in the present experimental model. Loss-of-function experiments have implicated VEGF-A, produced by adult rodent beta cells, as a pleiotropic factor with importance in embryonic pancreas development, postnatal beta cell function and revascularisation after islet cell transplantation [2, 7]. On the other hand, gain-of-function experiments have revealed a detrimental effect of excessive VEGF levels on islet integrity and on beta cell proliferation and development when overexpressed at embryonic or neonatal stages [8, 12, 13]. However, no conditional gain-of-function studies have as yet evaluated the effect of VEGF on islet vascularisation and beta cell proliferation/survival in adult normoglycaemic and beta cell toxin-exposed animals, which represent a clinically more relevant situation. The current study investigated whether conditional, beta cell-specific overexpression of VEGF-A can stimulate, protect and/or regenerate the endogenous adult beta cell mass. RIPrtTATetOVEGF-A mice showed conditional increase of intra-islet VEGF immunoreactivity while islets contained and secreted, respectively, 3.5- and 3.1-fold more VEGF-A. Under normoglycaemic conditions, 14 days of VEGF-A overexpression by beta cells increased islet vessel density by 35%. Some have reported no changes in islet vascularisation  while others have shown a net increase  following constitutive overexpression of VEGF-A in beta cells. These differences likely relate to the time-point of analysis, extent of VEGF-A induction and method of analysis (vessel number vs vessel area per islet). Short-term conditional VEGF-A overexpression transiently increased beta cell cycling. In line with previous reports , extended overexpression of VEGF-A rather promotes reduction in the beta cell mass and dysglycaemia. Insulin-resistant, high fat diet fed mice display increased VEGF-A levels and islet vascularisation, coinciding with islet hyperplasia , and obese individuals counteract increased insulin resistance by an initial expansion of the beta cell mass . Since we observed a transient increase in beta cell proliferation upon VEGF-A induction, it is tempting to speculate that VEGF-A is one of the orchestrating factors responsible for the early adaptive changes observed in high-fat diet mice and obese individuals while its continuous overexpression likely negatively affects islet morphology and glucose homeostasis. Since VEGF is known to promote survival of endothelial cells, neurons and hepatocytes  and has been suggested to protect against development of type 1 diabetes , we evaluated whether VEGF-A overexpression is able to protect beta cells from toxin-induced injury. When VEGF-A expression was induced 1 week before administration of ALX, it efficiently prevented the development of hyperglycaemia and significantly preserved the total pancreas insulin content at day 30 after ALX administration. VEGF-A induced proliferation of surviving beta cells and protected them against cell death. Since an in vitro toxicity assay failed to demonstrate VEGF-A-mediated protection of isolated beta cells against ALX-mediated cell death and since the current report unequivocally demonstrated the absence of VEGF-receptors on beta cells (as previously suggested [2, 26]), the existence of a protective paracrine effect via activated endothelial cells is suggested. One potential endothelial cell-derived factor is HGF, which acts downstream of VEGF in hepatocyte proliferation and protection against a hepatotoxin  as well as during beta cell mass expansion during pregnancy . In addition, HGF/c-Met signalling appears to be crucial for beta cell survival under diabetogenic conditions . Nevertheless, we could not detect changes in Hgf gene expression in mice overexpressing VEGF-A, nor did HGF promote beta cell survival or protection in vitro, thereby precluding a major role for HGF in the current model. Furthermore, it has been shown that the islet vasculature supplies beta cells with a vascular basement membrane that, through laminin and COLL-IV/β-1 integrin interaction, appears necessary for proper insulin gene expression and for providing beta cells with proliferative and survival signals [4, 10]. Whether laminin and collagen/β-1 integrin interaction also play a role in VEGF-A-mediated beta cell proliferation and protection, as observed in our study, remains to be determined. Taken together, our data pinpoint the importance of intra-islet VEGF-A levels in the onset of, and also protection from, experimental diabetes. Strategies that aim to control intra-islet VEGF-A levels could therefore become a potential therapeutic tool to protect and/or restore the beta cell mass in (pre)diabetic individuals. Special thanks go to J. De Jonge, A. Demarré, V. Laurysens, G. Leuckx, K. Maes, G. Stangé, K. Sterck, F. Verlée and Y. Yixing (all from the Diabetes Research Center, Vrije Universiteit Brussel) for technical assistance. Financial support was from the Beta Cell Biology Consortium (CBP, BRAVE) (YD, HH), from the European Union (6th and 7th framework programme ‘BETACELLTHERAPY’) (YD, HH), from the Research Foundation - Flanders (FWO) (fellowship to NDL) and from the Institute for the Promotion of Innovation by Science and Technology in Flanders (IWT) (fellowships to JDH, VC and NVG). The study was conceived and designed by NDL, YH, JDH, CA, GG, MVdC, EK, YD and HH. Acquisition of data was by NDL, YH, VC, NVG, YC, JDH, JM, SS, AS, AK and analysis of data was carried out by NDL, YH, VC, JDH and MVdC. NDL, YH, JDH, MVdC and HH interpreted the data. NDL, YH, MVdC, YD and HH drafted the article, and all authors revised the article and approved the final version to be published.